Hi guys! Today I've got a manicure for you that's really easy to do, but looks quite spectacular if I do say so myself! There is not much to say about this manicure really. As I mentioned above, it's very easy to do. 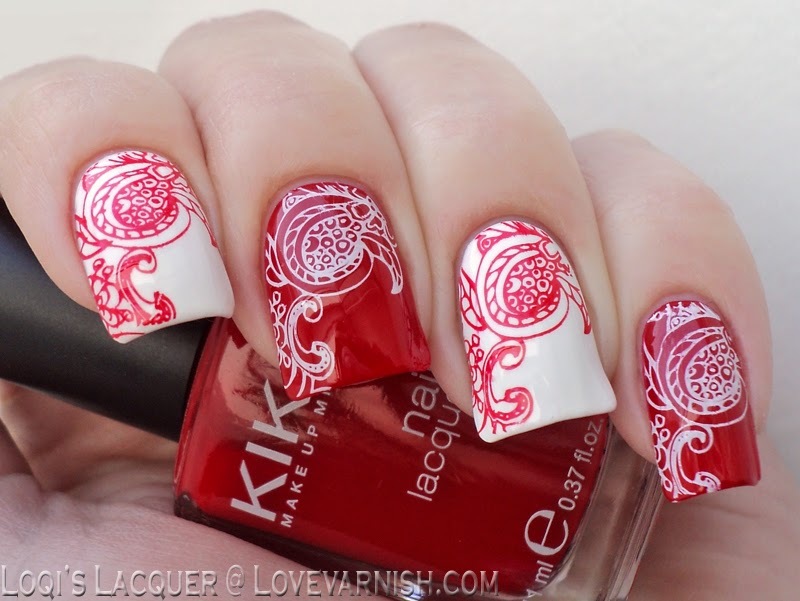 To create this manicure I alternated between Kiko 238 Martha Red and OPI Alpine snow as a base. I then stamped over the white with the same Kiko polish (it's very pigmented! 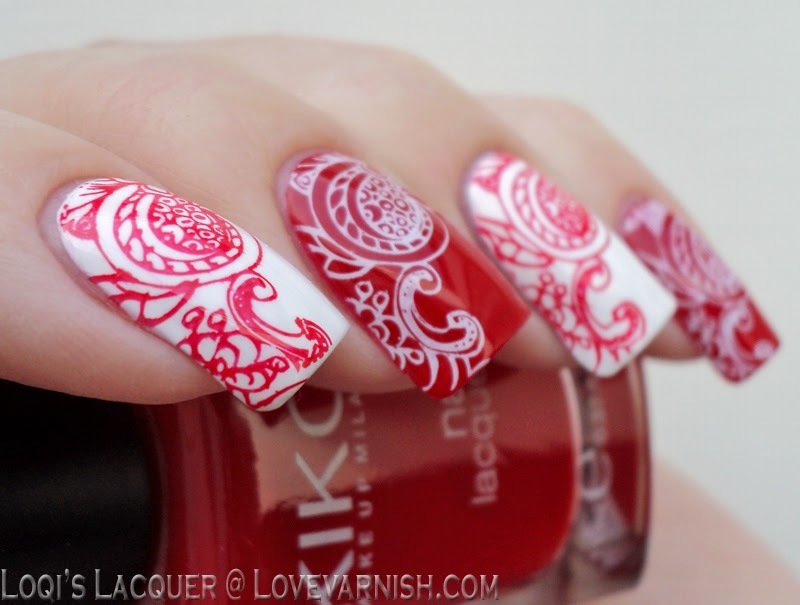 ), and I stamped over the red with Konad white. The image I used is from MoYou London, plate Pro XL 06. Finish of with a nice topcoat, and that's it! Nice and easy. These are really beautiful! I love the stamping image! 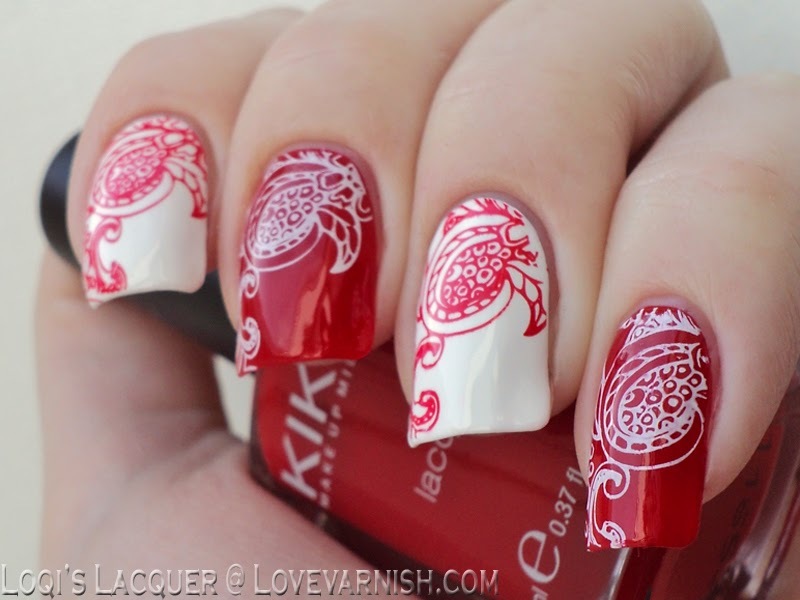 The red stamping over the white base is sooooo pretty! White on red looks cool as well but there is something about that clean slate with the bright stamp. Stunning! I thought that was a dragon stamp at first! These are so eye catching! 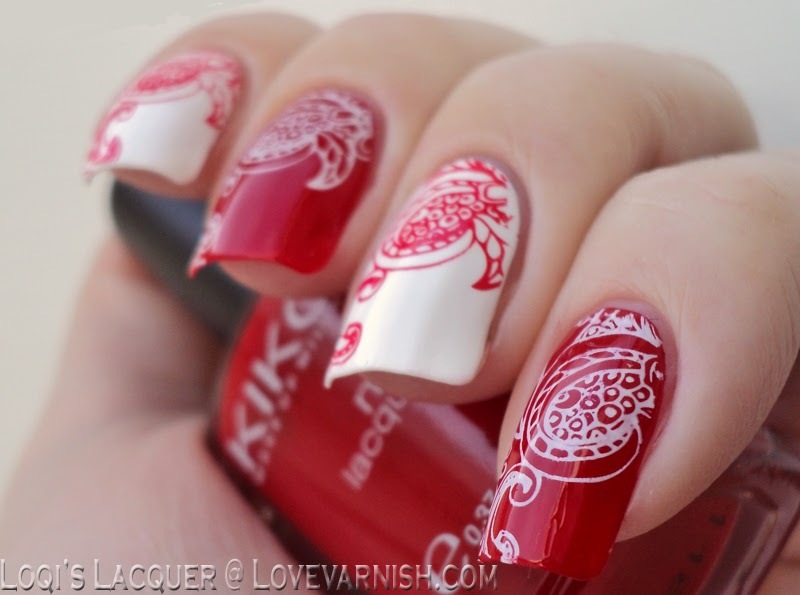 Of course you got many compliments : red and white are the perfect classic combo :) and your stamping motif is beautiful, hun. Love it! Wow. looks stunning. This is one classic color combination. Oooh I'd love a dragon stamp! Such a beautiful combo! I never tried it in stamping! Is the design cashmere or flowers, or maybe dragon? I can't see! Ooomph….girl, this mani is rocking!! Love the look! I totally agree with Deborah! That red stamp over white is so gorgeous!! It looks gorgeous, such a classic color combination.